During his Senate confirmation hearing to head the Energy Department, Gov. 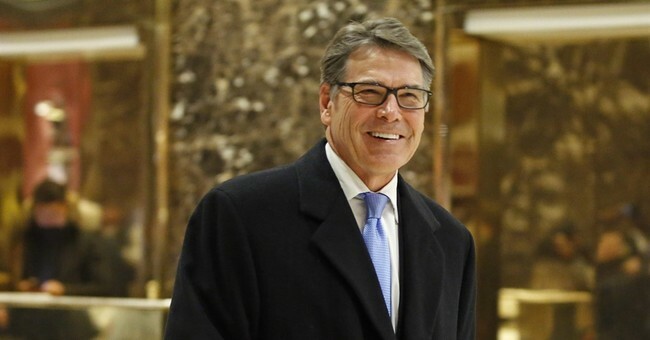 Rick Perry said he regrets past remarks calling for an end to the department. "I have learned a great deal about the important work being done every day by the outstanding men and women of the Department of Energy. I have spoken several times to Secretary Moniz about the operation. I have spoken to his predecessors. And if confirmed, my desire is to lead this agency in a thoughtful manner, surrounding myself with expertise on the core functions of the department,” he said. "My past statements made over five years ago about abolishing the Department of Energy do not reflect my current thinking. In fact, after being briefed on so many of the vital functions of the Department of Energy, I regret recommending its elimination."